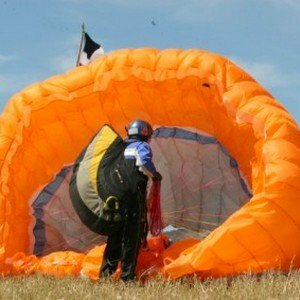 It is a practice day course starts and takes the form of a basic course in paragliding. You will be with an instructor pilot and taken to one of the flight locations where you will be introduced in the wonderful world of flight. 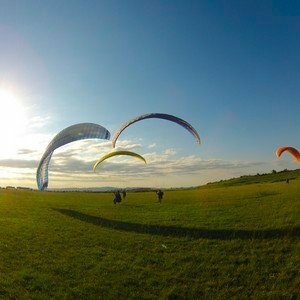 Through this test course you will learn some basic paragliding theoretical and practical concepts. What will you do on the first day of the test? takeoffs and landings from the slope of school. Depending on your progress and physical capabilities, and of course the weather, you will gradually increase height from which you takeoff. By the end of the day you will have at least 2, 3 flights made alone from about 50m, assisted by instructor through a radio station. 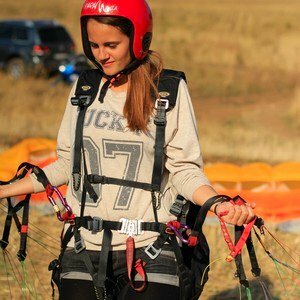 To continue this unique experience you have to start the beginners course, that will show you what it really means to fly paragliding!